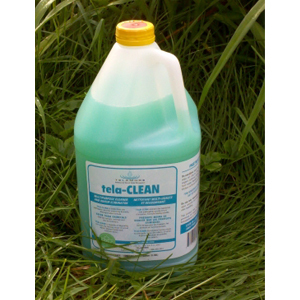 Septa-Flush – RV Holding Tank Cleaner – Telamode Canada Inc.
Septa-Flush is a dry product that is comprised of bacteria and enzymes specifically designed to digest organic wastes and to eliminate odours. 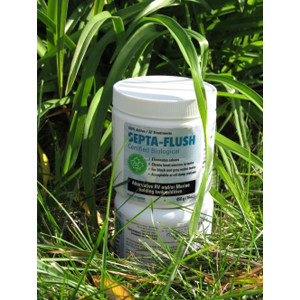 Septa-Flush is recommended by many campgrounds and in some cases is demanded as the product of choice. When using this product you will be able to dump your tanks at any dumping station without difficulty. A biological, non-toxic additive; No formaldehyde or other poisons. 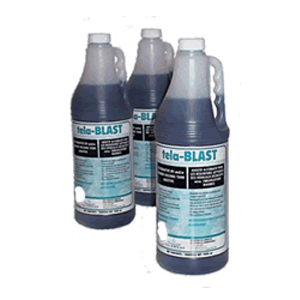 Will not damage metal, plastic or any other non organic material, making it safe for your RV or boat. Dump your tanks at any dumping station without difficulty. 100% active; most effective and economical certified product available. This product comes in a one pound jar (pre-measured scoop included) or convenient pre-packaged, pre-measured water soluble one ounce pouches. Please phone us at 1-800-263-2951 for campground/commercial pricing.